Last month's tournament was Super Smash Bros. for Wii U. Froot (Jinny) won 1st place, Gunblade (Brendan) came in 2nd, and Clune (Nathan) 3rd. 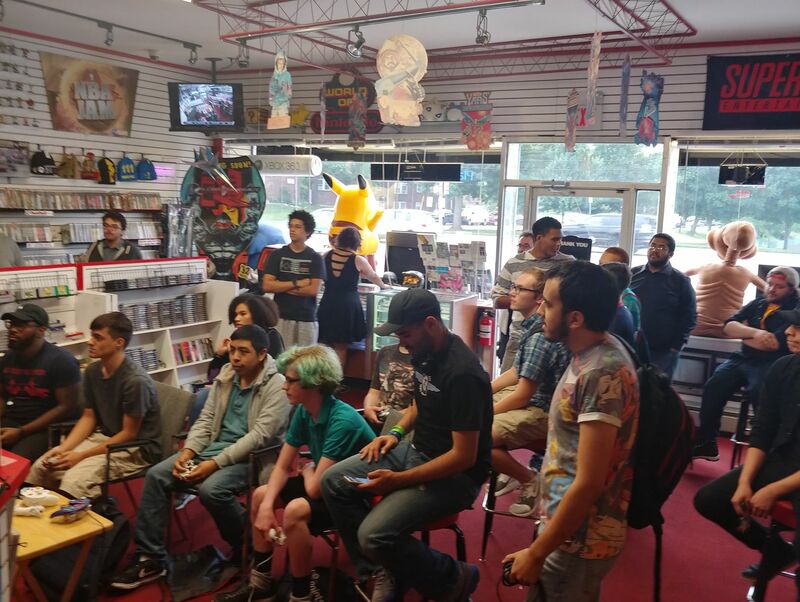 NAVA Gamer's Gathering, August 25th: "Genesis DOES"
On this NAVA we celebrated the Sega Genesis anniversary. 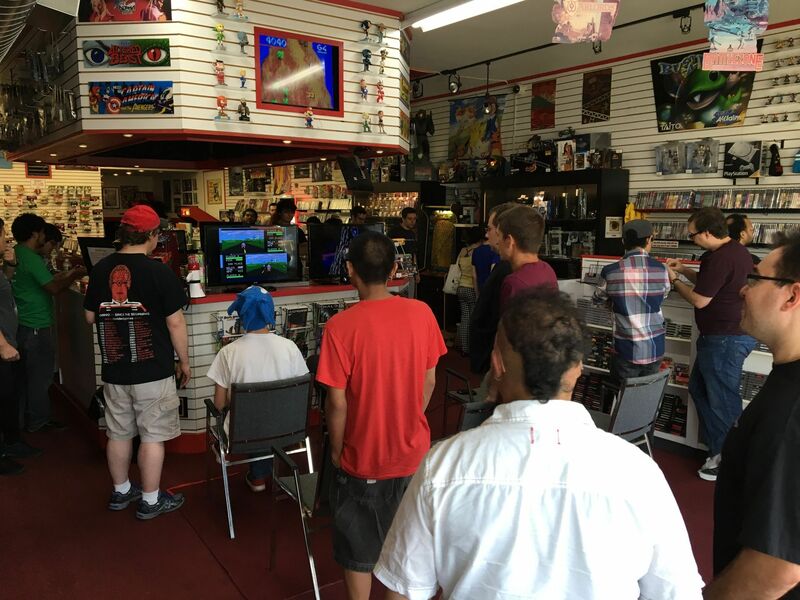 Attendees played Streets of Rage 2, Sonic The Hedgehog 2, Gunstar Heroes, Comix Zone, Contra Hard Corps, Ghouls 'n Ghosts and many more. Stephanie M won the Road Rash II Tournament in glorious split screen "mano a mano" mode! Chris A won the "SegaSonic The Hedgehog" Arcade Challenge. NAVA Gamer's Gathering, July 28th: "Vectors Revisited"
In this month's NAVA the theme was Vectors Revisited. 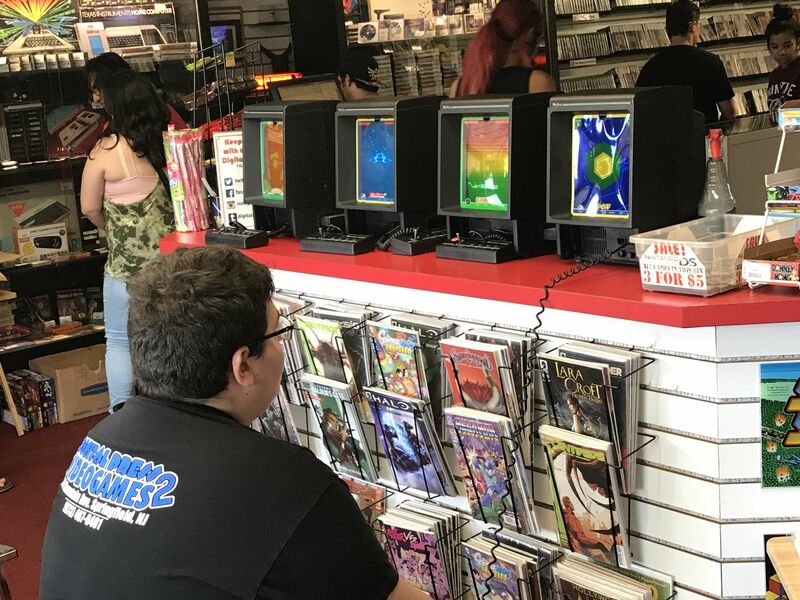 Attendees played the six Vectrex systems that were set up at the store. The Tournament was 1980’s Armor Attack and the Arcade Challenge was 1980’s Star Castle. Nick S. Jr won the Arcade Challenge, taking home a $20 gift certificate. 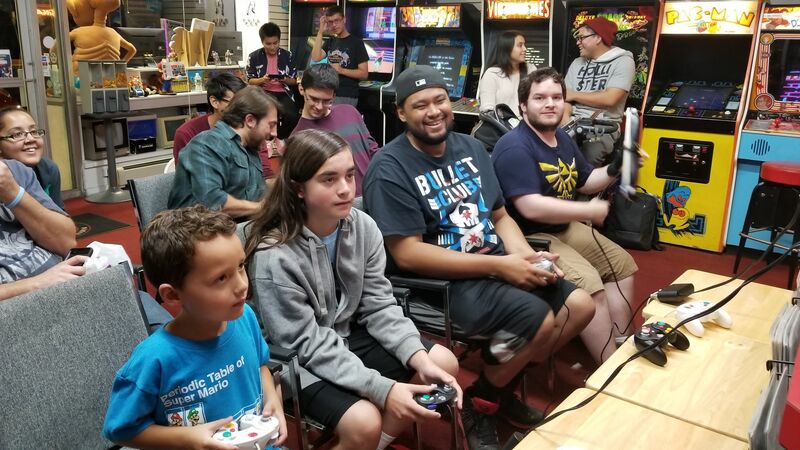 This month's Tournament was Super Smash Bros. for Wii U and the winners are Angel Cortez (1st), Riz (2nd), and Anonymous (3rd). 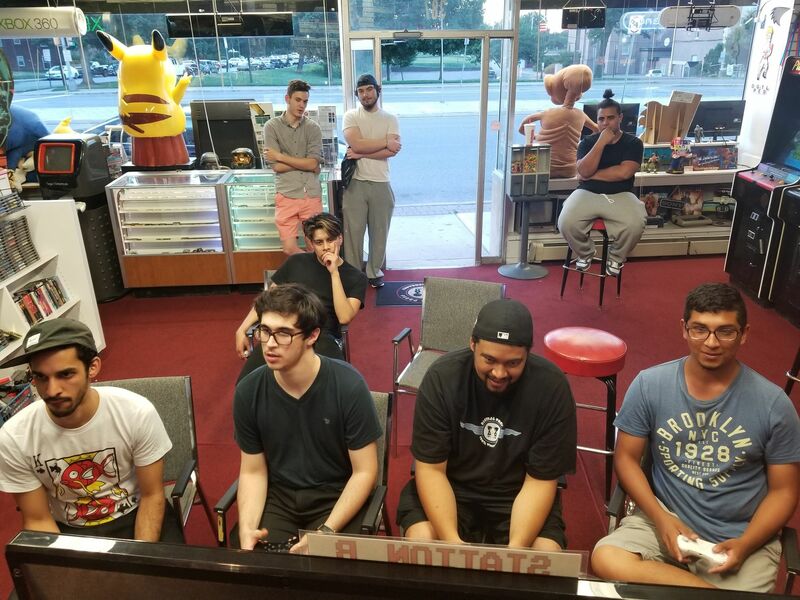 NAVA Gamer Gathering, May 26 "Leo Appreciation Day"
The May 2018 NAVA event was dedicated to the store's long-time valuable teammate, Leo!